Hello Friends. Hope you are enjoying a little of the Spring weather. The featured artist for Sketch Challenge 221 is Maria Vanderform. What do you think of her Bargello Technique? Pretty cool, huh? “Bargello is a form of embroidery that is created through a series of upright flat stitches laid out in interesting patterns. Bargello was traditionally stitched in wool on canvas, making it very durable and perfect for pillows, upholstery, and even carpet. 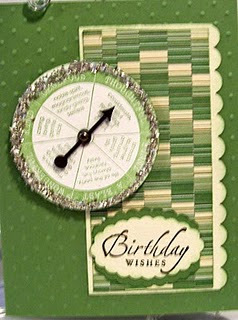 But you can use bargello to create unique cards and paper projects…..” You can find a tutorial here. Make sure you stop by Maria's blog to see more artwork.